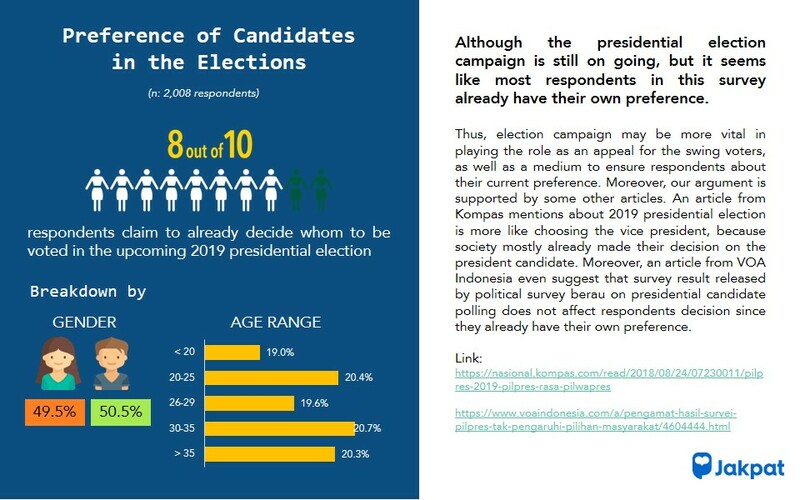 Indonesia presidential elections next year has already gained public attention. As the campaign period is starting, people begin to create public discourse about the event. In the discussion, people may express their opinion, show their preference, etc that somehow may be able to influence their peers’ preference. 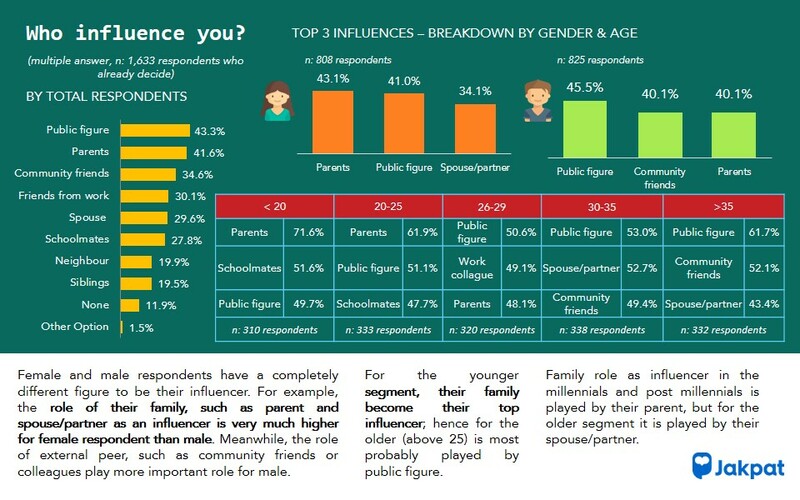 This survey is aimed to describe peer influence towards people’s knowledge and to an extent may possibly cause their candidate preference. In order to reach this survey objective, we send a questionnaire towards 2.008 respondents in nationwide from all demographic segments by using JAKPAT mobile survey application. Our result highlights a conclusion that inner circle/peer somewhat has an influence towards respondent political preference, be it at the attitude and mindset level. Moreover, we also find that political issue has been immersed in respondent daily lives. 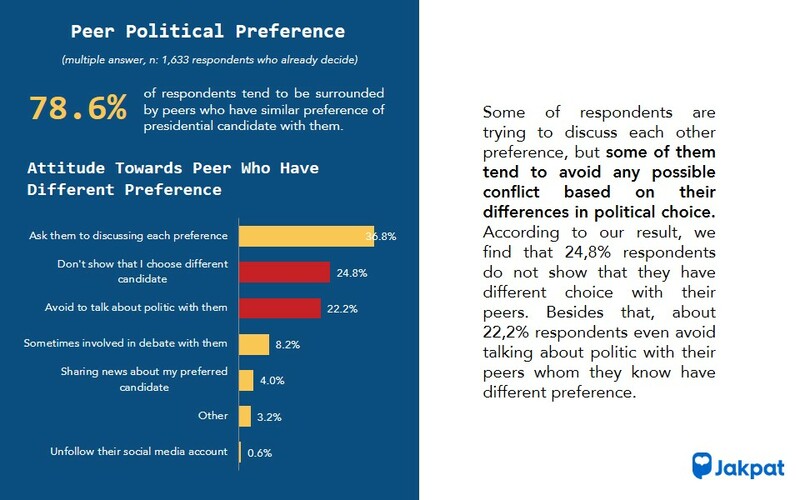 Some respondents also show an avoidance attitude when they know their peer does not have a similar preference to them. This entry was posted in Download Reports, Lifestyle, Mobile, Personal on January 15, 2019 by Syaifa Tania.